CapitaLand Retail China Trust's (CRCT) 4Q18 results were within expectations. Revenue was up 3.0% YoY to S$55.7m while NPI was up 8.8% to S$35.9m. With the S$2.5m distributable income contribution from the Rock Square joint venture, distributable income rose 7.7% to S$23.7m. 4Q18 DPU was up 2.1% YoY to 2.42 S cents while FY18 DPU was up 1.2% to 10.22 S cents or 100.2% of our full-year forecast. As at 31 Dec 2018, ~80% of CRCT’s distributable income was hedged into SGD to mitigate the impact of forex movements. 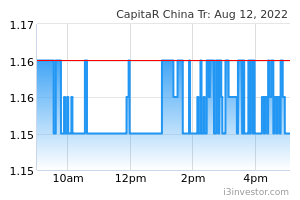 CRCT also announced the divestment of CapitaMall Saihan at an agreed property value of RMB 460.0m (S$90.8m) to and the acquisition of a mall in Hohhot at an agreed property value of RMB 808.3m (S$159.6m) from unrelated third parties. The new mall is double the size of CapitaMall Saihan and has a longer land lease balance tenure, and CRCT intends to finance the acquisition through existing cash, debt, and proceeds from the divestment. FY18 NAV would remain the same on a pro forma basis at S$1.58 per unit. The manager expects the acquisition to be completed in 2H19, and for the property to commence operations in 2H20. The divestment of CapitaMall Saihan will take place after the new mall is operational in 2H20. 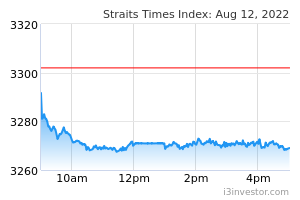 We place our Hold rating and fair value of S$1.39 on CRCT under review pending further details from the briefing.